I feel like I go through phases with smoothies. I either love love love love loveeee them - or I kind of forget the exist. Maybe it's because I'm not a smoothie-as-a-meal fan and stick to smoothie snacking - or maybe it's just because I'm too lazy to get the blender out on the regular. Lately, I've been in a smoothie loving phase - and this mix is my current favourite. It's gluten free, dairy free and vegan but smooth, creamy and packed with a protein punch. Best of all? It takes just 30 seconds to blend together and hey presto, you've got a snack! Or a meal... if smoothie breakfasts are your jam. Plus, can you ever go wrong with peanut butter, chocolate and banana? I think not! 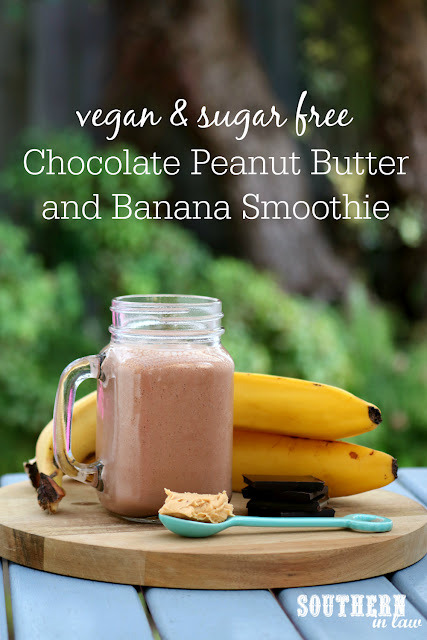 The frozen banana in this smoothie makes it thick and creamy and adds sweetness without any sugar whilst the peanut flour (or even PB2!) 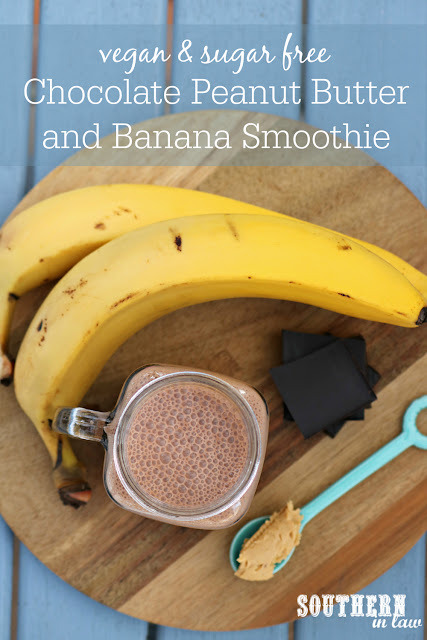 adds protein and thickens the smoothie even more. 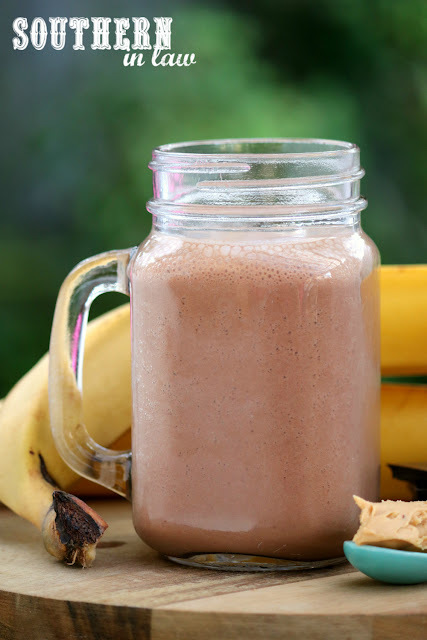 It's a "Chunky Monkey" inspired smoothie that's delicious enough for dessert and so easy to make. Add all of your ingredients to your blender and blend until smooth. But tell me, are you a smoothie fan? Smoothies as snacks or meals? And what's your current foodie obsession? Right now I'm all about smoothies, breakfast bakes and raw bites.